Sky above, sand below and peace within. 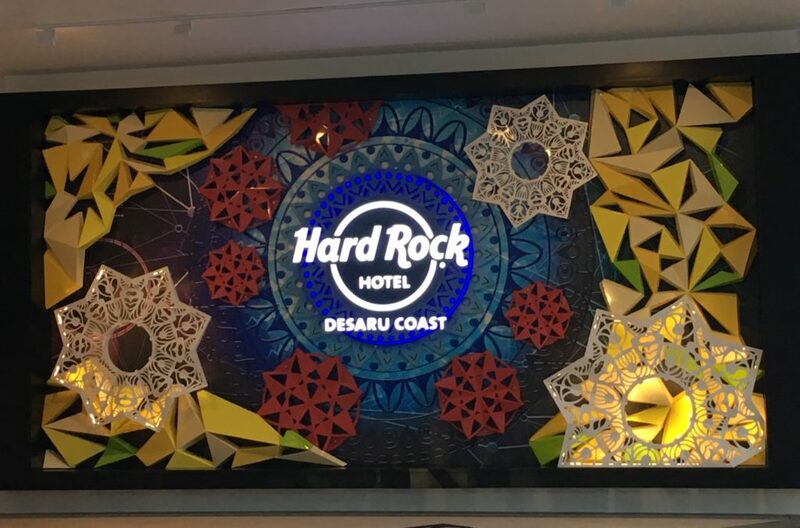 Desaru has plenty to offer locals and travellers the world over. Soak in the sun on 22km of pristine sandy beach. 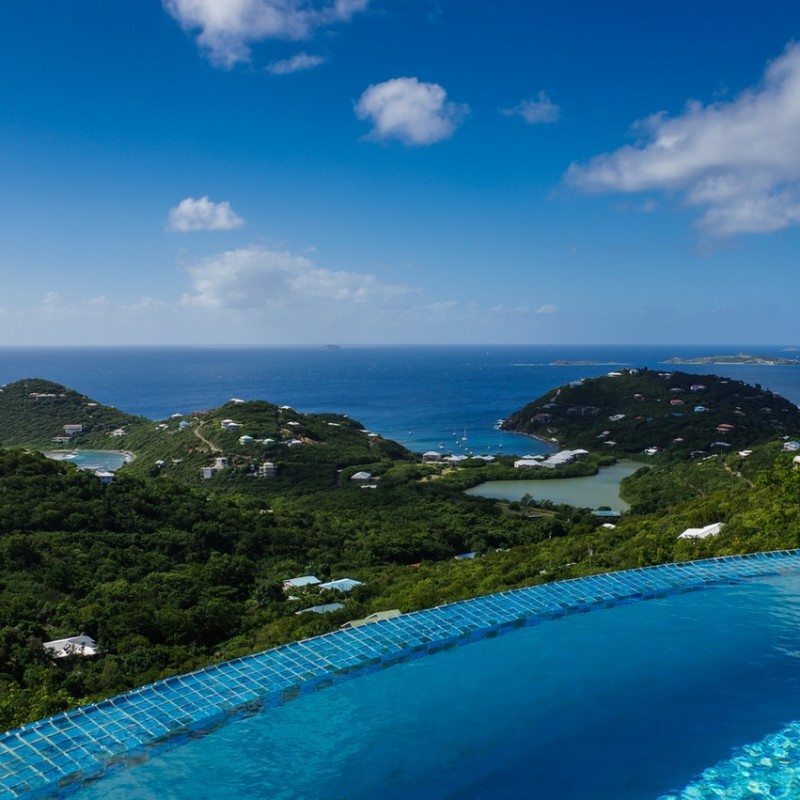 Take your pick of lush resorts all along the coast. 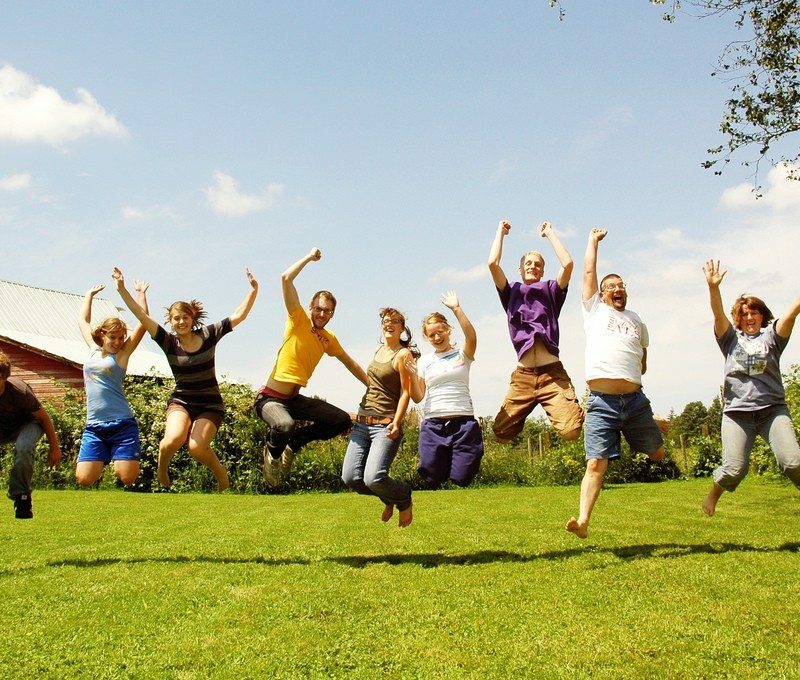 Escape to family fun at the various family-themed attractions. 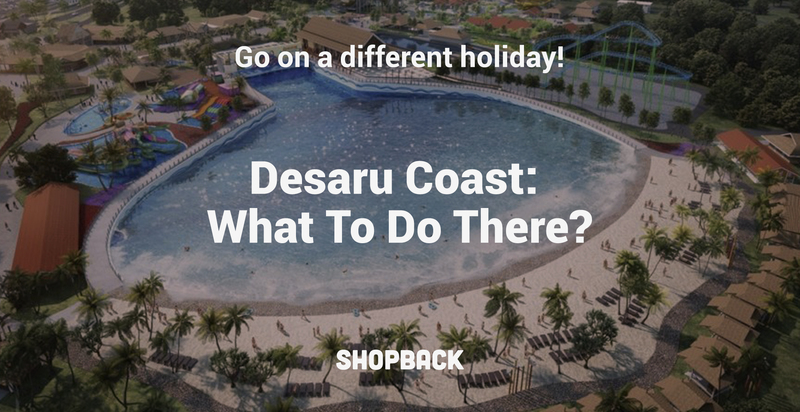 Located just an hour’s drive from Johor Bahru city, Desaru is easily accessible for a weekend getaway or family vacay. 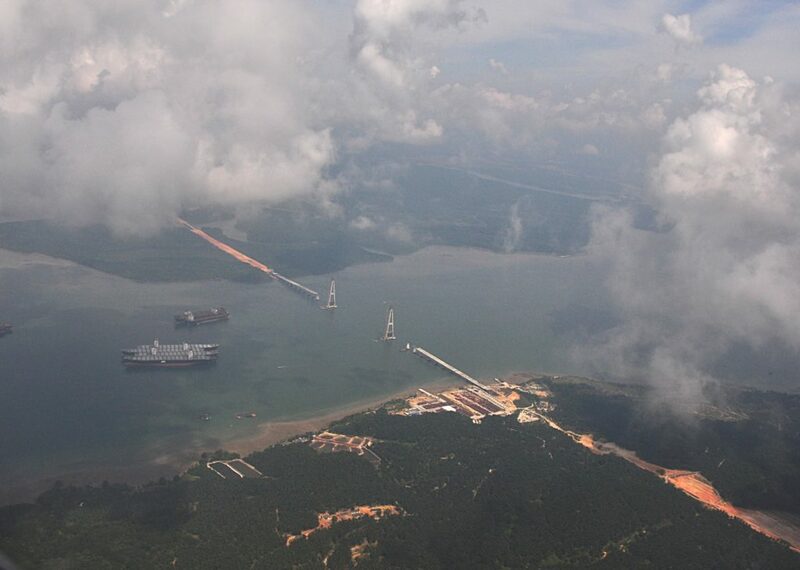 Best of all, the scenic drive via the Senai-Desaru Expressway will bring you past the Sungai Johor Bridge. Amazingly, this bridge currently holds the longest central span of any river bridge in the country. In fact, many travellers actually stop nearby to photograph the impressive structure. There are so many things to see, do and love in Desaru. And now there is more to love. 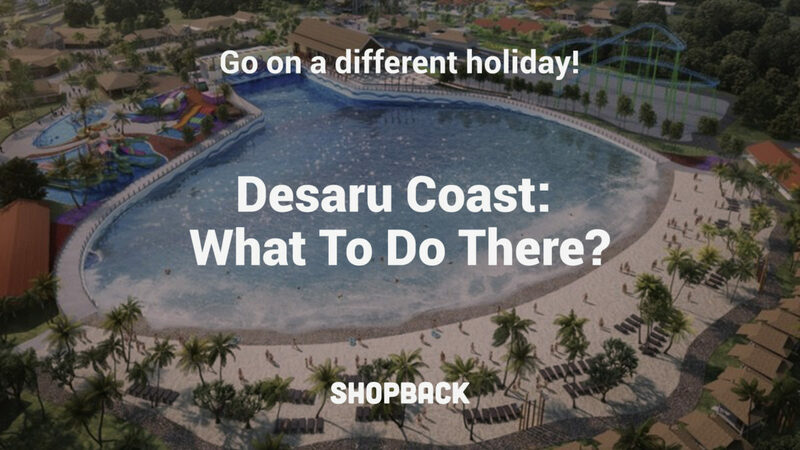 Desaru Coast boasts a premium integrated destination resort with new attractions aplenty to wow you. From golfing good times to hard rocking action, waterpark adventures to luxury stays, this destination is sure to delight one and all. 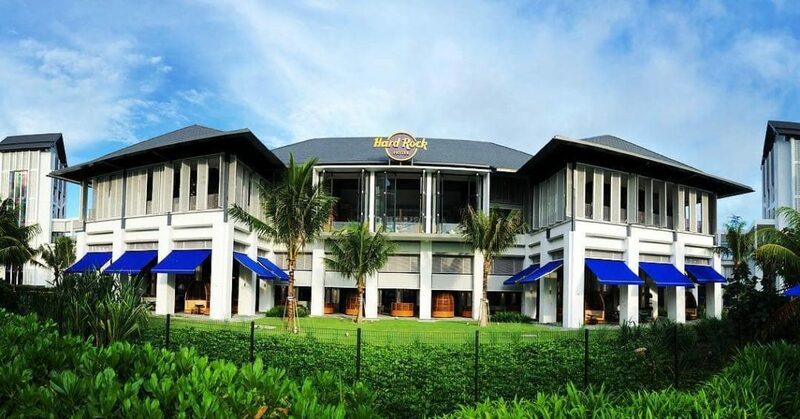 The long-awaited and much-anticipated Hard Rock Hotel has finally arrived on the southern shores of Malaysia. Its locale is perfect as it’s away from the busy city and only a short walk to the beautiful beach. Enter a world ruled by music where the impressive facade and sky-high guitar greets guests at the entrance. Better yet, the music-themed hotel is just a hop, skip and dance away to one of the world’s largest waterparks. 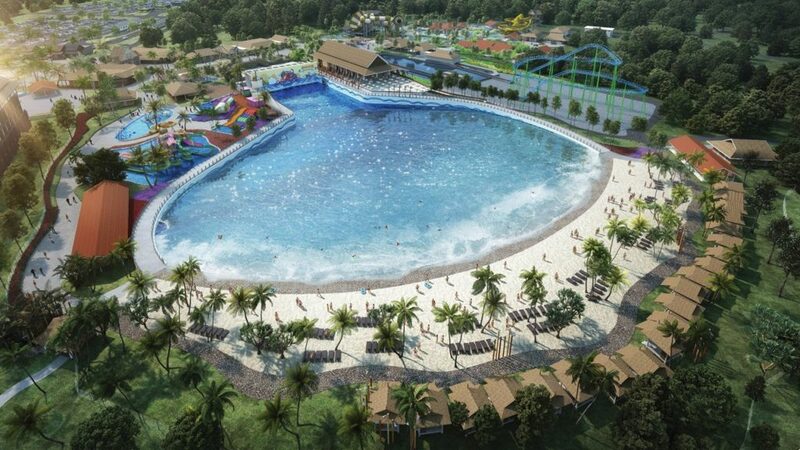 No ordinary waterpark, this park has a giant wave pool and man-made beach. So, guests can have a splashing good time on every visit. 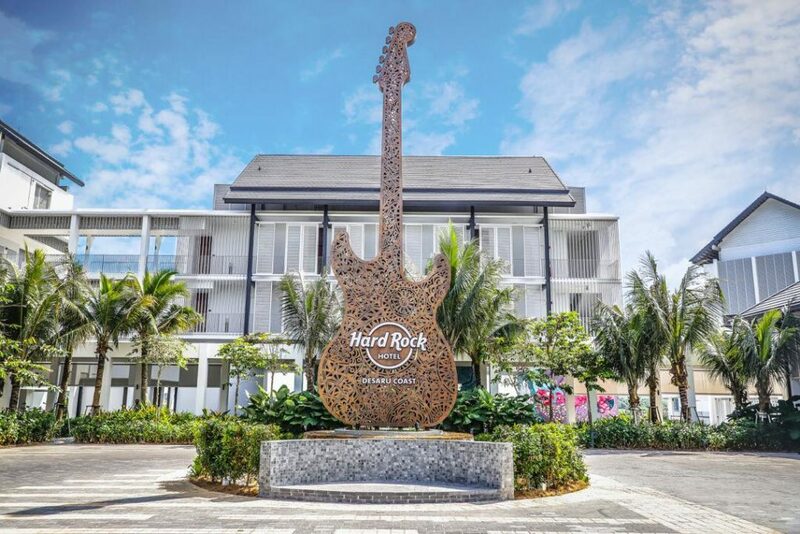 What’s there not to love when Hard Rock provides signature stylish accommodation, renowned the world over. Every room is music-inspired and overlooks the waterpark or lush green landscapes. Moreover, there are family rooms and suites with balconies for guests with bigger families. If you love American-sized portions of food, dining at the hotel’s all-day dining restaurant will satiate that appetite. Sessions, the music-inspired restaurant features local and international cuisine with a Hard Rock twist. Further, the Sessions Bar is the perfect stage to watch live bands perform. Next is their coffee bar, aptly named Constant Grind for a good cuppa and light meals over the counter. Another favourite hangout place for couples and families is The Elephant and The Butterfly. Sited by the hotel pool, it is the fave go-to place to sip hand-crafted margaritas on lounge chairs and watch the kiddos enjoy their poolside adventures. Further, the menu of Mexican culinary favourites aims to please juniors, parents and seniors alike. The place where music comes alive is GMT +8 Lobby Bar. 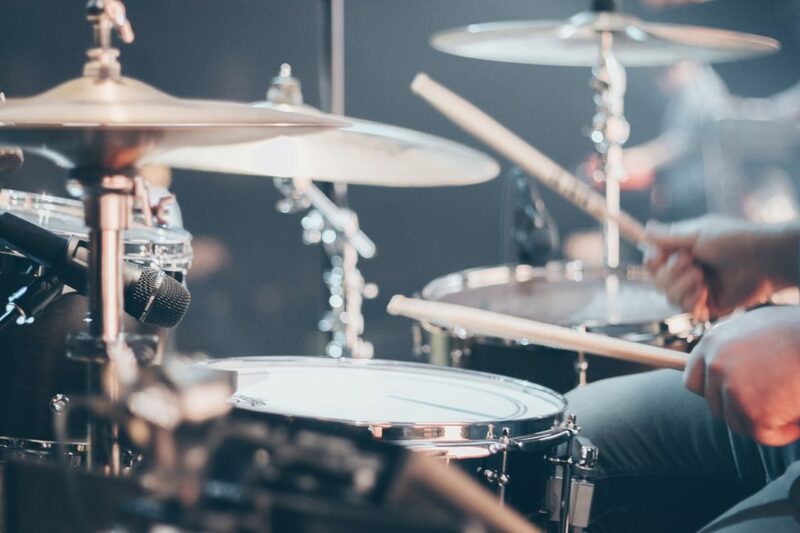 Here, hotel guests and visitors from all over come to enjoy the live music daily. Coupled with refreshing signature drinks, it is the place to relax, unwind and socialize with fellow hard-rockers. 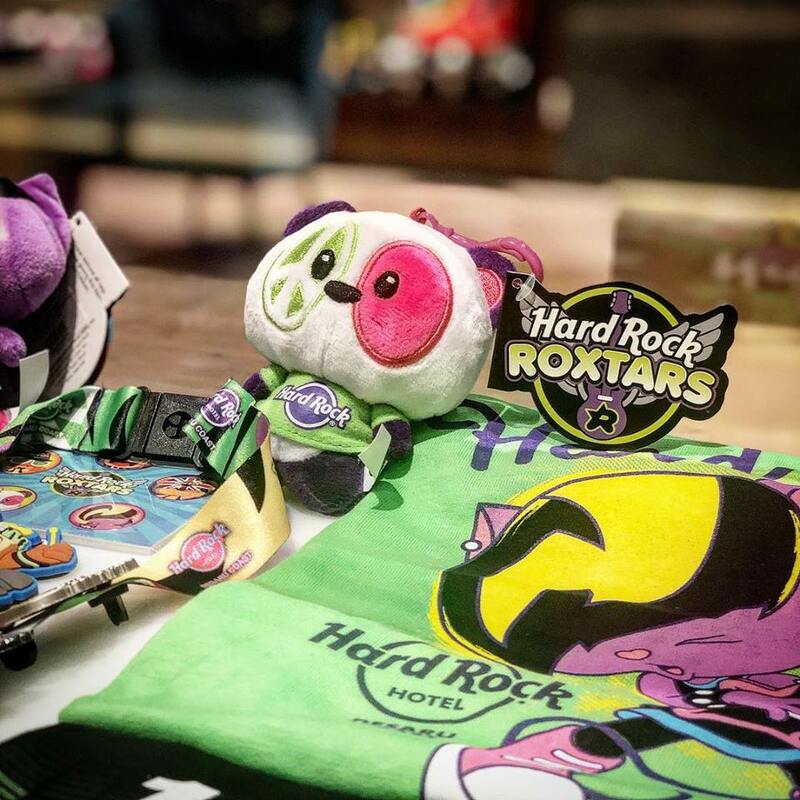 Not to be missed is the merchandise store to pick up Hard Rock memorabilia and rock collections from all over the world. Undoubtedly, the store is always busy as patrons head there to purchase limited edition items. In fact, there is a Memorabilia Tour daily for ardent Hard Rock fans. Tour admission is free. Registration is required with the Concierge. When feeling good is part of living good, the Rock Spa aims to please. Be prepared for a musical twist on classic head-to-toe spa packages that pamper the body and soothe the soul. 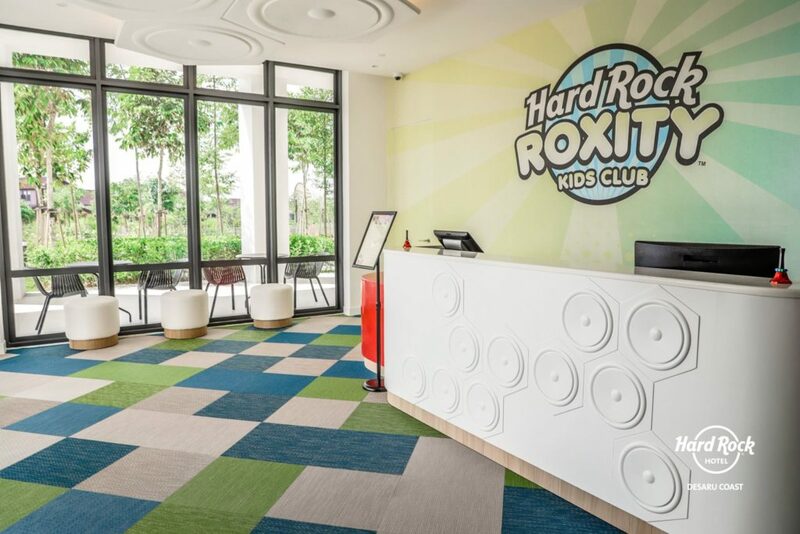 When the kids yearn for more entertainment, send them to Hard Rock Roxity Kids Club. Here, every kid is a rock star and this kids-exclusive club packs an awesome array of fun themed games and cool classes. Yearning for a hard rocking stay? Score amazing deals on Booking.com and earn up to 6% cashback via ShopBack. Be sure to keep a lookout for Booking.com discounts to enjoy more savings. Right next door is one of the world’s largest and coolest waterparks. 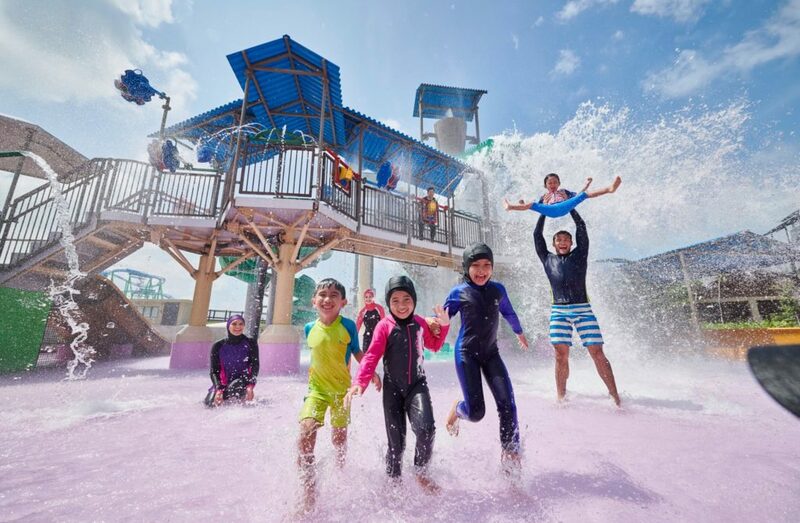 Desaru Coast Adventure Waterpark guarantees a splashing good time with an awesome array of wet and dry waterpark attractions. Just walking to the waterpark already builds up enough excitement as you can hear the screams of terror and terrific fun from guests within. What to look out for at the Waterpark? 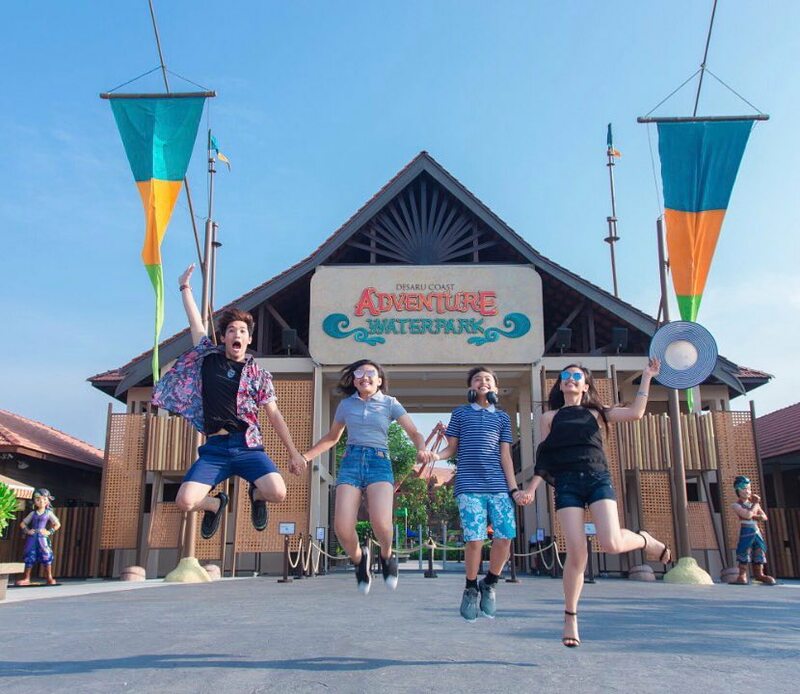 Stay calm and ride the first-ever water coaster in the region for a scream-tastic time. 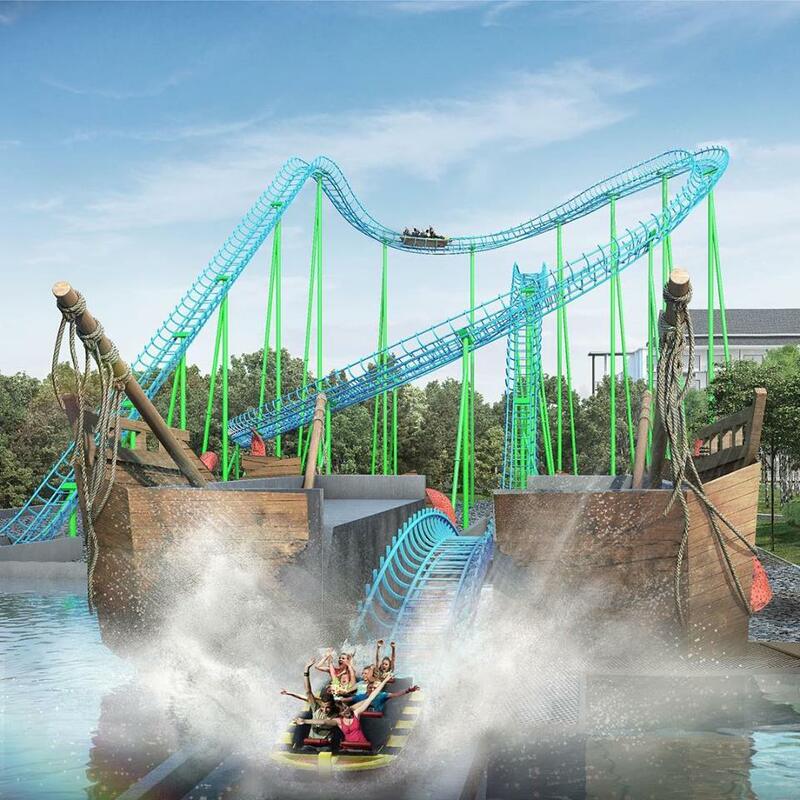 The Kraken’s Revenge Water Coaster promises a heart-thumping time for the young and old. Soaring to dazzling heights in the sky and crashing down to the splash pool would give brave riders a rush like never before. It’s certainly not for the faint-hearted. 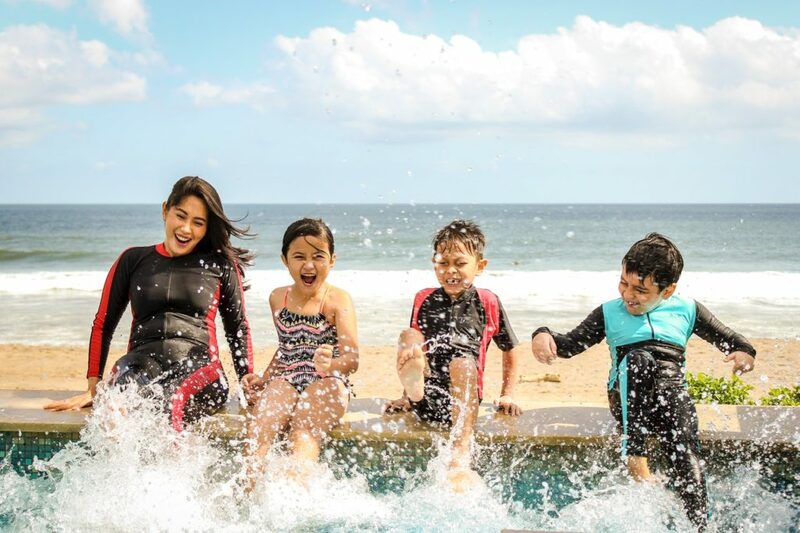 Then, make a big splash at the largest wave pool in Southeast Asia and ride the waves like a pro. Better yet, private surfing session or surfing lessons are available on request to aid wannabe surfers. Next up is The Tempest, 2 high-energy funnels with a tube slide that sends guests on a swirling vortex before making a spectacular splashdown. Another tubular attraction is the Wild Whirl where speed and suspense whirls guests out of control on their rafts past high perimeter walls and steep channels. Feeling braver by the second? Then, head over to the Riptide, where the raft for up to 4 persons manoeuvres twisters at top speeds. What’s great for the kids? The splash-tacular slides and attractions at Kids Ahoy. The 3 water playgrounds feature water play equipment and water slides for toddlers and juniors of every age. 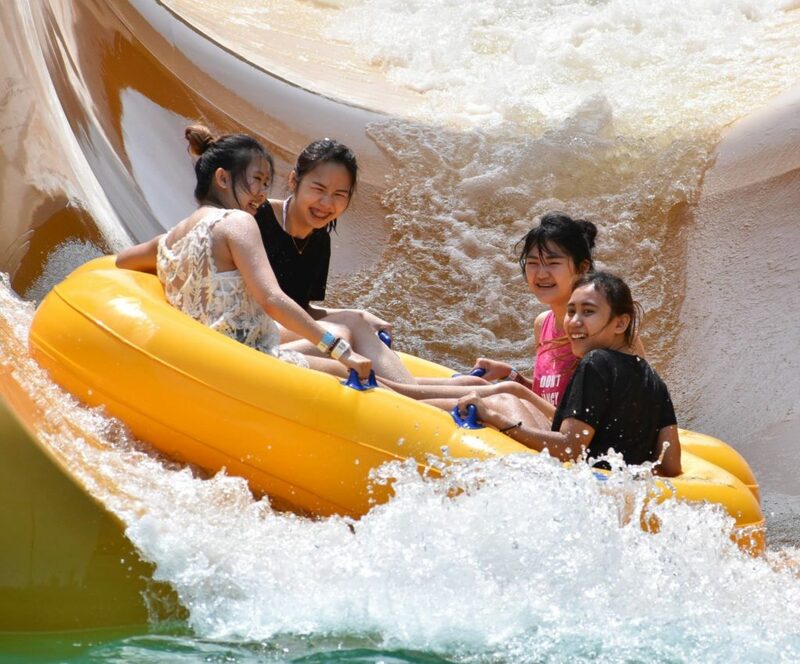 Kids will love the lazy river rides, Penawar Falls and the Tidal Wave beach where they can build sand castles. 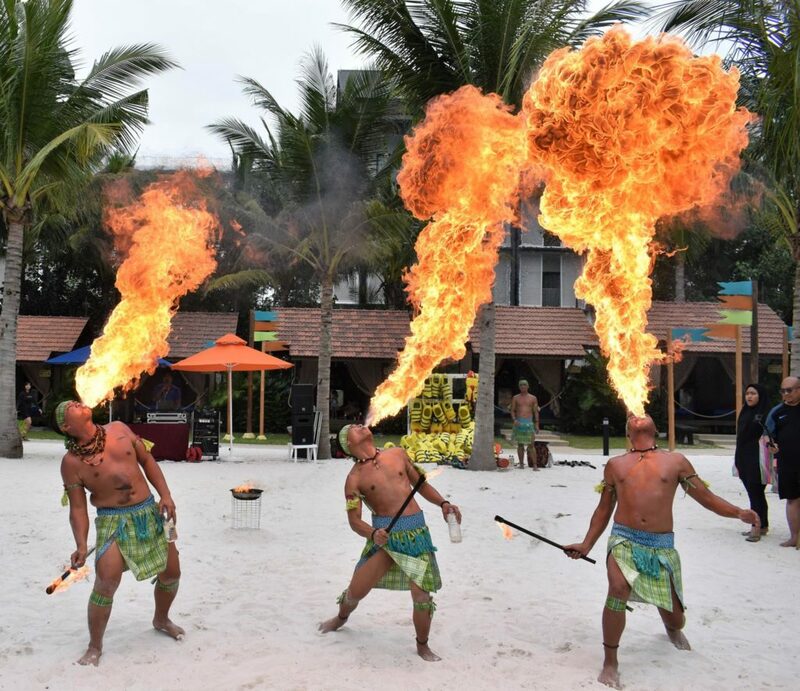 Just as exciting are the live performances by fire-blowers next to the beach. For some down-time, head for the Penawar Huts that offer privacy for family bonding time. 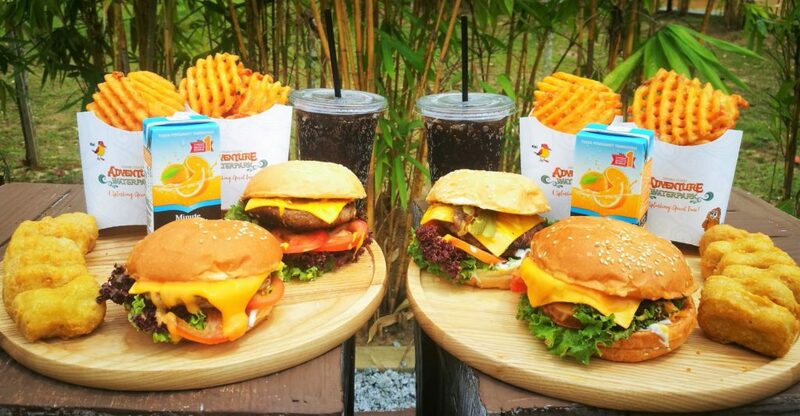 When surfers, swimmers and splashers need to refuel for energy, there’s a menu of glorious food and beverages at the Waterpark’s restaurant. Able to accommodate up to 12,000 visitors at any one time, this Waterpark is a huge attraction for an equally huge crowd. Entrance fee: 1-day admission pass from RM129.00 (locals with MyKad), RM137.00 (foreigners), RM96.00 (kids aged 3-11 years & seniors aged 60+. Look out for Shopee promo codes for greater savings on open tickets. Putt to the chase and find splendour in the grass at The Els Club Desaru Coast. Designed by Ernie Els, professional golfer and former World No. 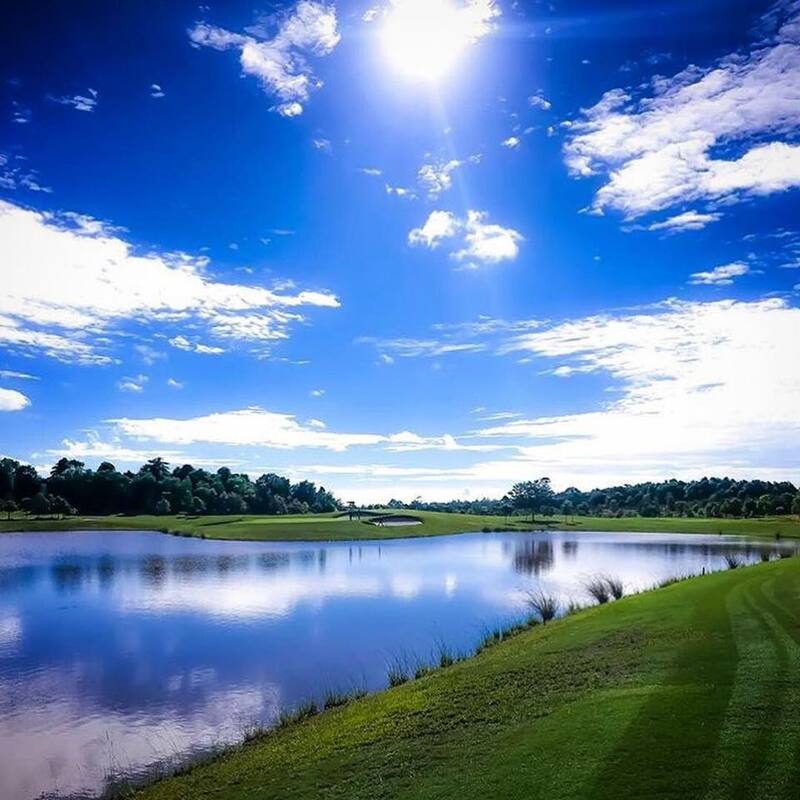 1, this 45-hole golfing paradise showcases lush green tropical landscapes. 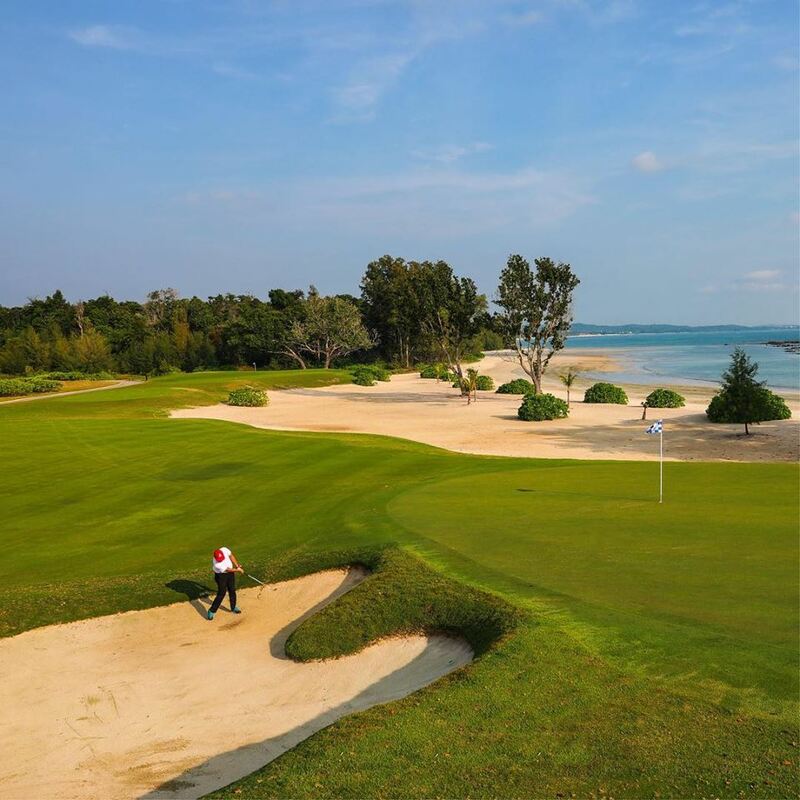 Best of all, golfers get to play championship games by the seascapes of the shimmering South China Sea. The Ocean Course is just like its name implies. Surrounded by ocean blue waters and brilliant skies, the 27-hole greens is suited for all skill levels. Adjoining it is a plush 45,000 sq.ft. 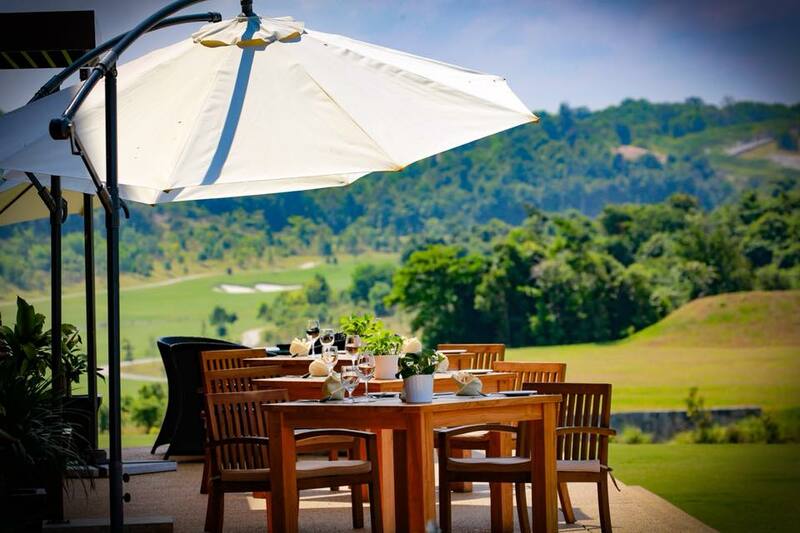 Clubhouse with facilities, viewing balconies, relaxed terrace, dining restaurants and golf shop. The Valley Course covers 18 holes with 187 bunkers for challenging play amidst undulating terrains. This course has its own Clubhouse with comprehensive facilities for golfers. Further, the club has The Els Performance Golf Academy to train juniors and adults to learn the game. It’s the first academy of its kind in Asia. 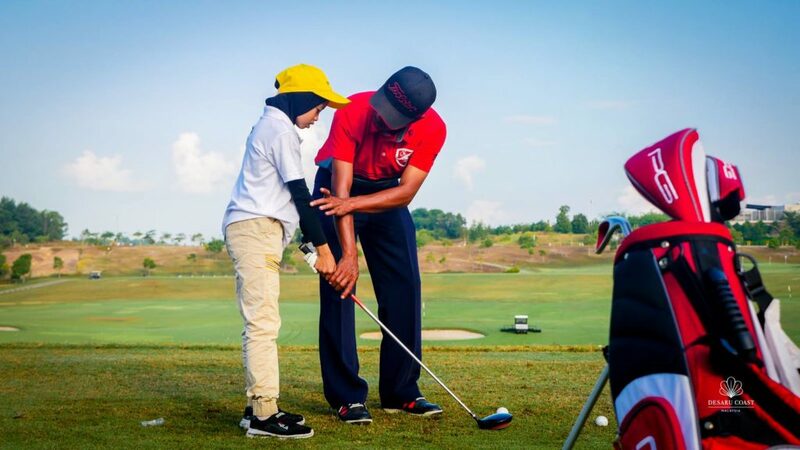 Golfers now have more reasons to play and stay at Desaru Coast. So does Junior. 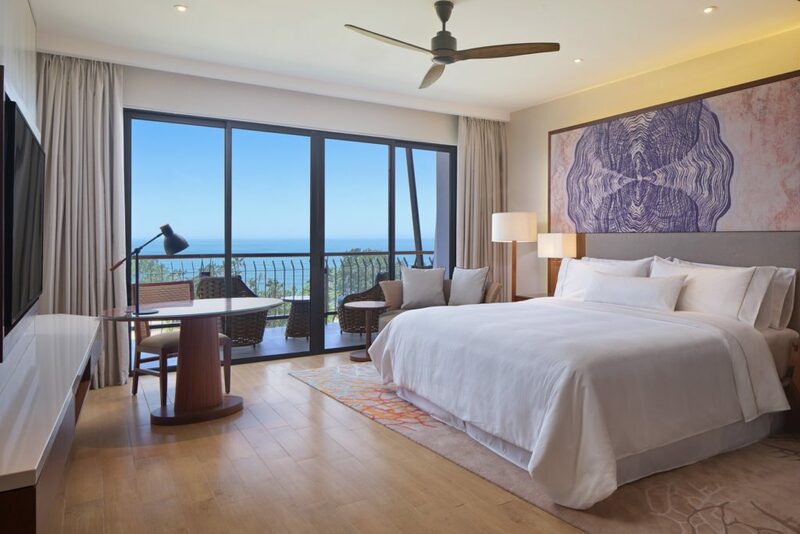 The newest player in the premium hospitality industry is the recently opened Westin Desaru Coast Resort. Renowned for their luxury stays and wellness experiences, The Westin ups the ante with its lush location. Edging the azure waters of the South China Sea, this scenic oasis promises more than just plush rooms for memorable stays. Thoughtful extras include a wide selection of restaurants from gourmet to coffee lounge and bar. 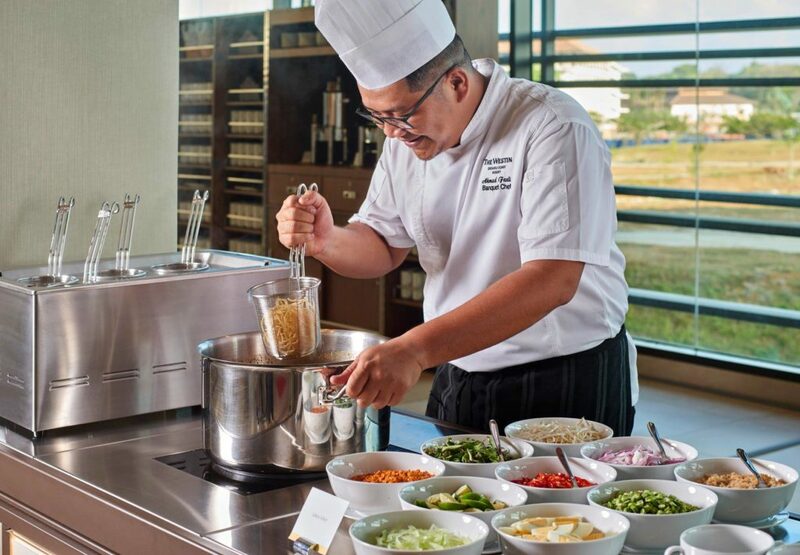 Further, the specialty restaurant, Prego at Westin offers culinary creations by their master chef, plus premium wines. Guests can enjoy dining by the pool at the Splash Pool Bar. Better yet, they can have drinks by the beach at the Beach Bar, nestled overlooking the beach. When in-spa-rations strike, head for the Heavenly Spa by Westin for pampering spa packages. 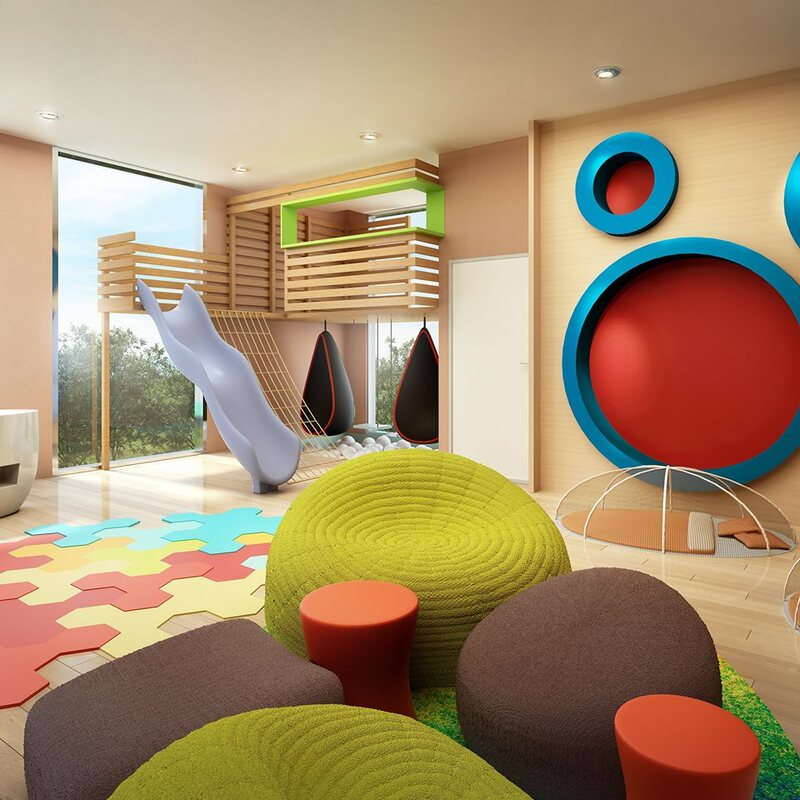 Just for kids is the Westin Kids Club created with interactive play areas for an awesome time. Best of all, the Resort is within walking distance to all the other attractions. 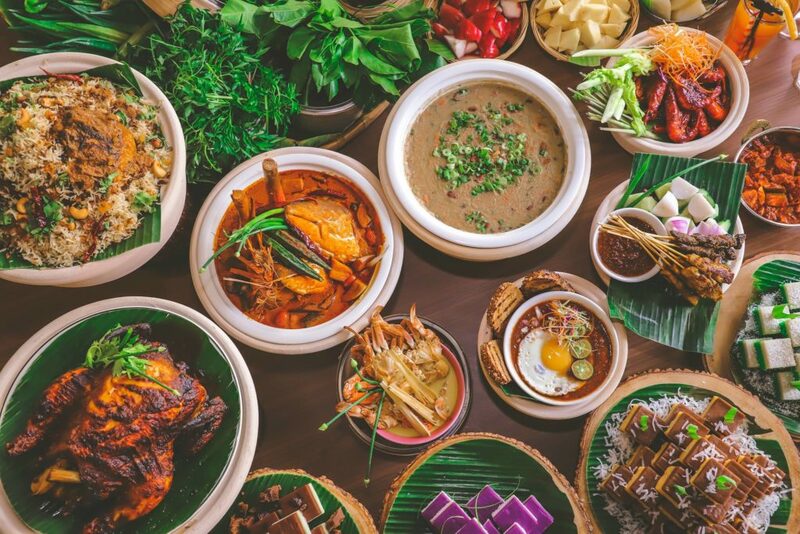 Foodies in search of gastronomical delights can head to the Riverside where a wide range of restaurants dot the riverside boardwalk. Love to stay at The Westin? Get better hotel rates with Expedia and earn up to 9.5% cashback with ShopBack. Keep a lookout for Expedia promo code for more discounts. Looking good during your holidays is easy when you know how. Get your comfy casuals, UV-protection swimwear and sunnies from Cotton On. Keep your eyes peeled for Cotton On vouchers for fantastic discounts. Moreover, the kids should look good too. So, shop online at Carter’s for fabulous kids attire. Score amazing discounts with Carter’s and forever shop happy. 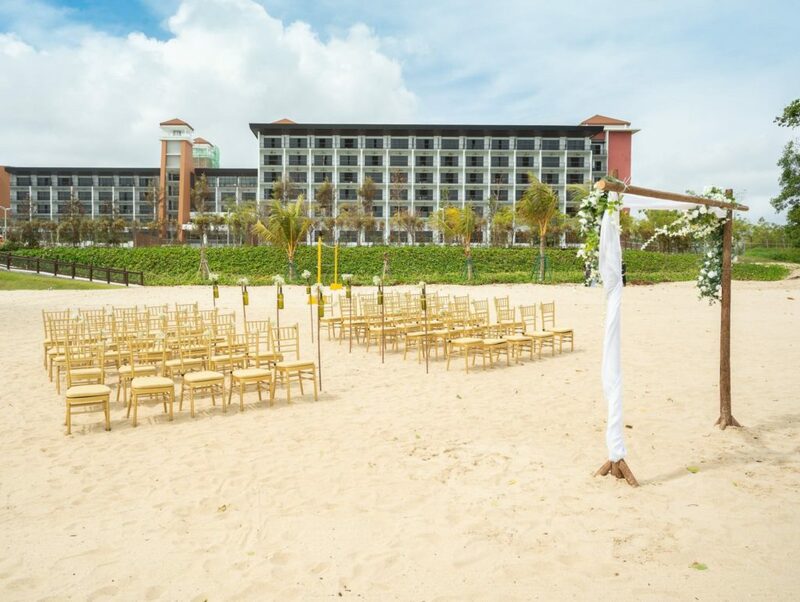 May you always have a shell in your pocket and sand in your shoes at Desaru Coast. Further, tell us all about your Desaru holiday plans.